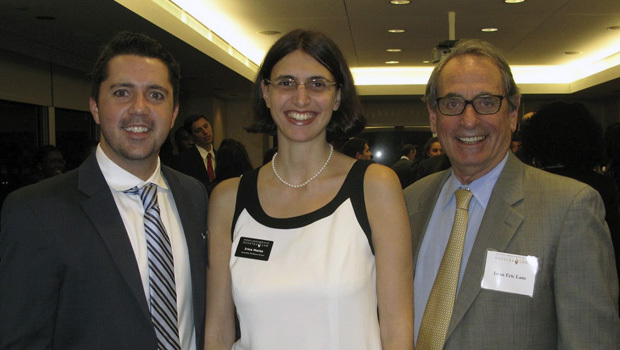 On Sept. 17, 2014, Hofstra Law students and alumni specializing in intellectual property gathered at the Manhattan office of Bryan Cave LLP for the second annual IP Alumni Reception. With the support of alumnus Joseph Richetti ’98, students interested in IP had the opportunity to network with Hofstra Law alumni working in this growing field. Professor Irina D. Manta has led the charge in strengthening the IP community at Hofstra Law. Creating the IP Mentorship Program, which has about 30 students and 15 alumni. Developing the IP Alumni Working Group, led by alumnus Lanning Bryer ’83, which has helped to advance intellectual property at Hofstra Law. Graduating the first class of students in the Intellectual Property Law Honors Concentration. Sending Hofstra Law’s first-ever team to the INTA Saul Lefkowitz Moot Court Competition. Continuing the IP Colloquium, which brings some of the top minds in IP to Hofstra Law to speak with students. Increasing the social media presence that highlights IP events at the law school and other opportunities with the Hofstra Law Intellectual Property Program Facebook page and HIPLA Facebook group. Adding Visiting Professor Zvi Rosen, who is a specialist in copyright and bankruptcy law. Professor Manta has been active on the scholarly front as well. She has published an article in the Florida Law Review and placed articles in the William & Mary Law Review, Iowa Law Review and Stanford Technology Law Review. 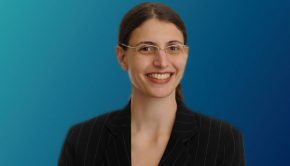 She has also won two scholarly prizes: the Stessin Prize — awarded annually by Hofstra University to two junior scholars across disciplines — for her article “Hedonic Trademarks (PDF)” (published in 2013 in the Ohio State Law Journal) and a second from a national competition on IP and Free Enterprise. Learn more about intellectual property law at Hofstra Law.